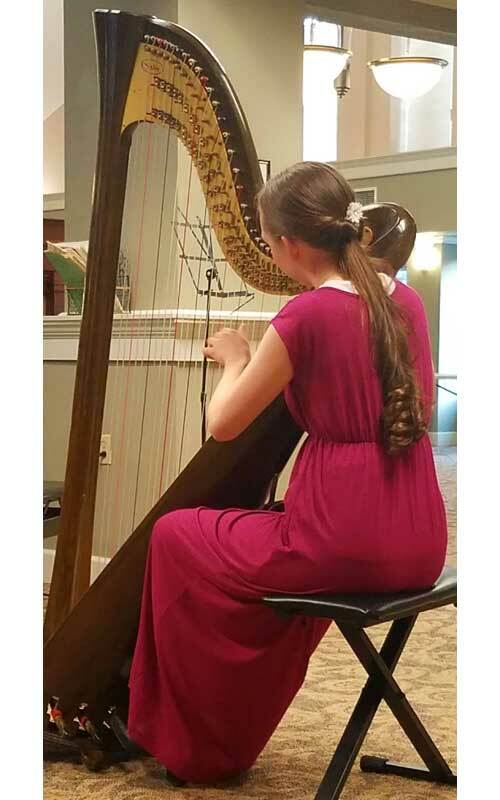 Megan Gluckish took first place with her skills on the harp at the Rotary 5190 Youth Music Contest. Eagle Lake Village was filled with the sound of music Thursday, March 29, when five talented musicians performed in the Annual Rotary Youth Music Contest. This competition is open to local youth ages 14 to 18. Judges were Thomas Braun, Tiffany Russell, Jon O’ Sullivan and Phil Letterman. Cash prizes were awarded for first, second and third place. Gary Felt introduced the judges and musicians. Poised, 14-year-old Molly Glucklich played “Valse Gracieuse Op. 261, No. 2” by German Composer Wilhelm Popp on the flute with piano accompaniment. Glucklich is home schooled along with her sister Megan. 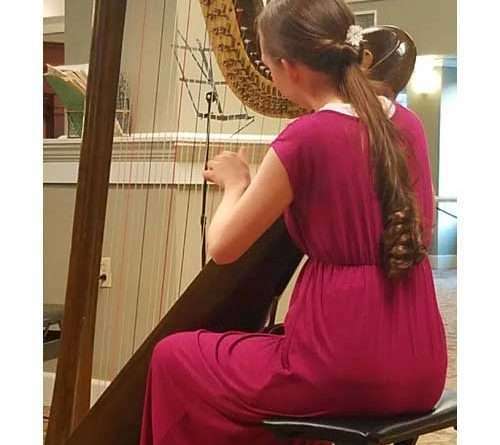 Harpist Megan Glucklich, 15, produced an enchanting rendition of Sergei Prokofieve’s “Prelude in C-Major Harp” on the same-said graceful instrument. Kaitlyn Nakanishi wowed with her skill on the violin. 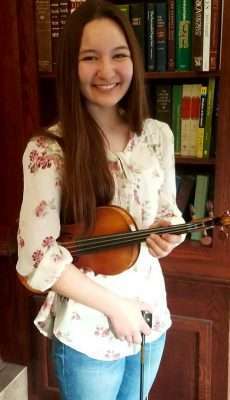 The 16-year-old junior at Lassen High School gave a memorable performance of the “Greensleeves Adaptation” by Lindsey Stirling. Eighteen year old Jaeqob Talbot is a guitarist who also attends Lassen High School as a junior. Talbot — a classically and jazz trained musician — chose an arrangement of “Bohemian Rhapsody” by Edgar Cruz. Talbot introduced himself with the confidence of a seasoned performer and proceeded to perform as such. Last, but certainly not least, a smiling and confident Beth Nielson, gave us “Duetto No. VI Op. 101” by Hayden on the flute. The judges took detailed notes during each performance and conferred among themselves before announcing Harpist Megan Gluckish as winner of the competition. Flutists Molly Gluckish and Beth Nielson took second and third place respectively. Megan Gluckish will progress to the Area One contest Thursday, April 12. The winner from that round will advance to Rotary District Finals in Reno on May 19.